This take on a Cascadian Dark Ale is loaded with Northern Brewer and Centennial Hops for a unique flavor combination showcasing both earthy and bright hop tones. A malty and slight roasted backbone is perfectly complemented by the addition of real vanilla beans to the aging tanks on this one of a kind black IPA. 6.6% ABV and 65 IBUs"
This citrus bomb starts off as a light bodied IPA brewed with 2 Row, Munich, Caramel, and Dextrin Malts. Tango Delta's hop kick comes from the widely popular American Hops. It then goes all renegade on your palate with the addition of fresh Tangerine juice that adds a slight sweetness to complement the bold hop presence. We were honored when our pal Brian 'Stillwater' Strumke asked us if we wanted to 'remix' one of his beers. So honored we took this all the way. After poking around in his collection of brews, we decided on Folklore. However, our remix of Folklore is loose as a goose..just like we want it. 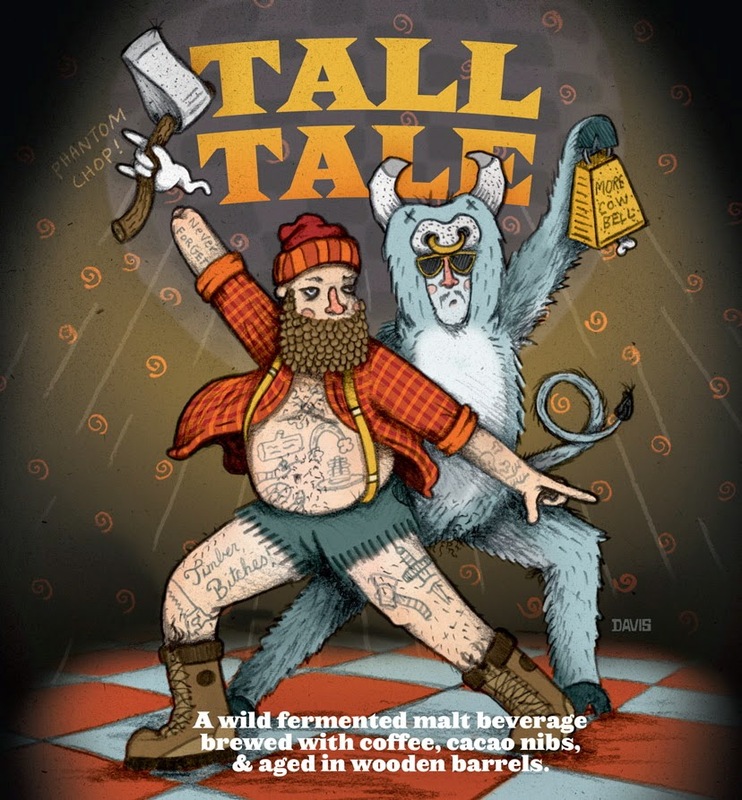 This beer is brewed as an amber ale infused with cacao and coffee, with portions aged in bourbon barrels and finally dried out with a dose of brettanomyces yeast. The resulting beer is unlike any you can imagine. Dark fruit, chocolate, and wild yeast flavors all comingle with a slightly vinious undertone...its like that time you went to the disco and saw Babe the blue ox dancing with Paul Bunyan. Get it? Evil Twin Barrel Aged - limited! To take up the challenge and make a 100% true Brett IPA and let it rest in crisp white wine barrels can very easily become a fatal attraction for the Brewmaster. Once you get acquainted with Chardonnay’s seductive personality, along with Bretts irresistible and seductive personality, it will ensnare you and drive you mad obsessing over how exactly you can create the perfect desirable tangy, funky, crisp, tart flavor in ya mouth. 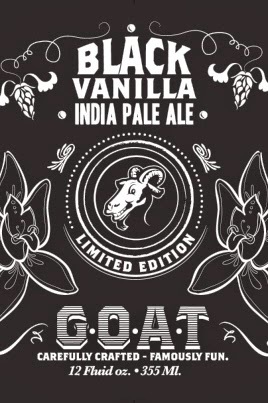 Only 3 bottles available in St. Louis and we have them all. The packaging is incredible. 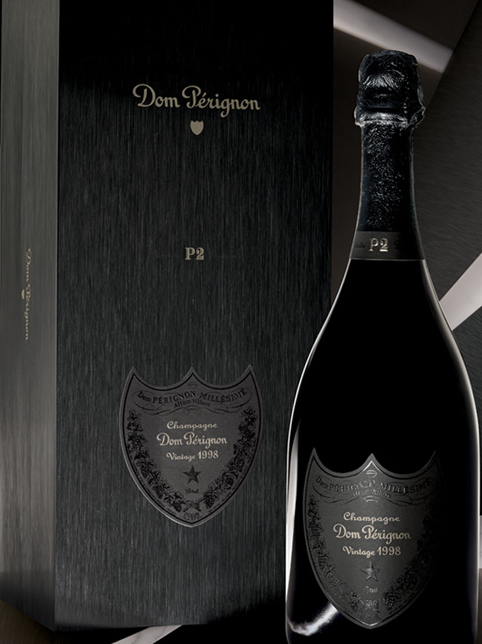 With the box it weighs in at almost 9.5 lbs, almost twice as much as regular Dom Perignon. 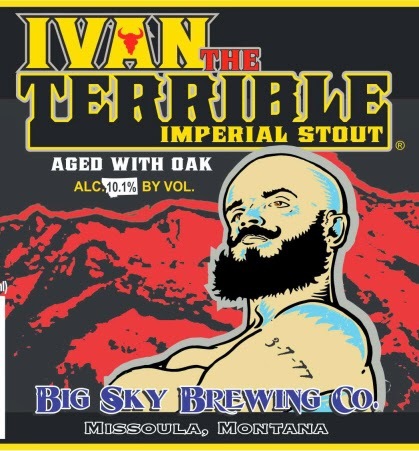 Big sky brewing's ivan the terrible imperial stout is brewed according to the traditional style using english hops and the finest american malt. It's aroma and flavor balance well between esters of dried fruit and roasted cocoa with a slight bourbon presence. 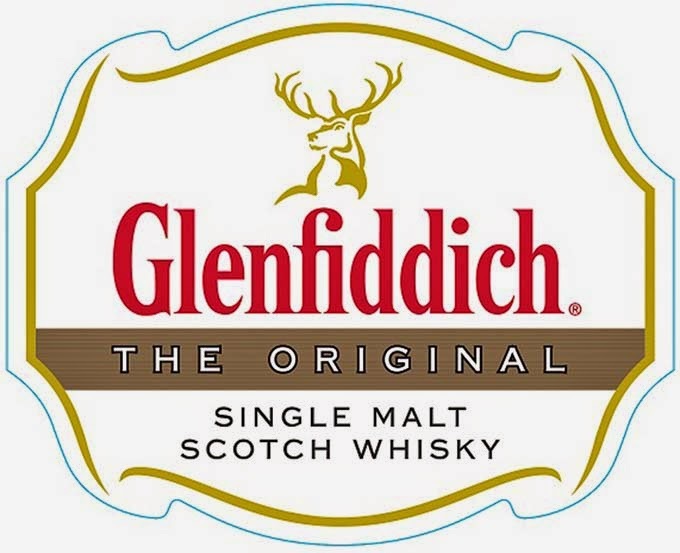 Rare Glenfiddich Retro 1963 Release! A replica of the original 1963 Single Malt that started it all!!! Only 90 bottles available in Missouri! but these just arrived at Forsyth. In stock, come and get them. No reservations at this point. Will try to get them posted in the morning. Plus we got in Tilquin Oude Gueuze SQUARED - this one will go out via BRC next week. Stay tuned. America's #1 selling Chardonnay for 22 years and counting! It's no wonder Vintner's Reserve Chardonnay is our most popular release. Handcrafted in small vineyard lots throughout the entire winemaking process, our grapes are from California’s cool, coastal growing regions of Monterey County, Santa Barbara County, Mendocino County and Sonoma County. Vintner's Reserve Chardonnay is fruit-forward, divinely complex, approachable and exceptionally food-friendly. The grapes were hand harvested into small bins and carefully sorted in our gravity-flow cellar. The clusters were gently de-stemmed directly into traditional oak tanks for cold soak, fermentation and extended maceration-a total of 26 days of wine to skin contact, maximizing the extraction of varietal character and complexity while keeping the tannins fleshy and supple. The new wine was drained and gently pressed into 15% new French oak barrels for malolactic fermentation, assuring seamless integration of fruit and oak. The final blend was assembled through repeated tasting trials over the 16 months of barrel aging, and bottled in June of 2014. This light flavored black lager is our version of a classic schwarzbier. This schwarzbier has moderate malt flavors that finish clean and sweet, and are balanced out nicely with just a hint of bitterness. The appearance is very dark brown, with a tan-colored head. 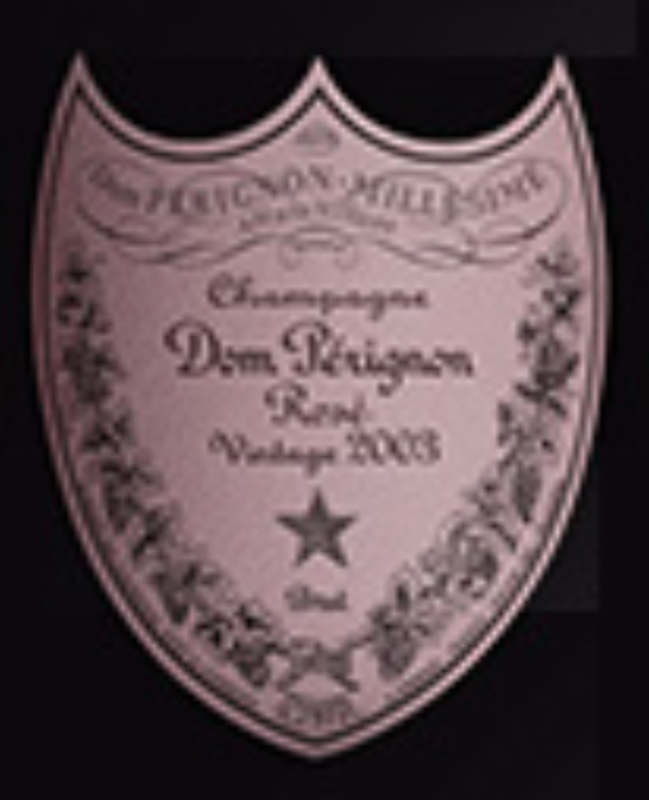 The mouthfeel is medium bodied with medium to medium-high carbonation. Black Bear is truly a beer that will surprise the drinker. It is overall dark, but very pleasantly sweet with no harshness that most would expect from a dark beer. This beer is available seasonally, so try it when you can. 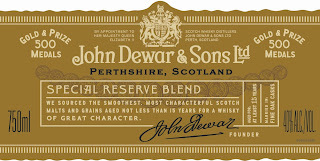 Aroma: Rich, full-bodied, clean, with distinctive aromas of grains and cracked pepper spirit note tingle. 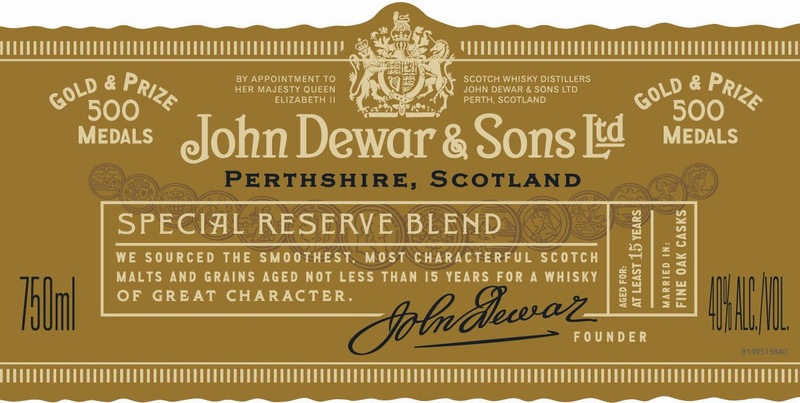 Taste: A touch of sweetness to the very clean, soft mouthful, with slight grain notes and black pepper. Finish: Clean, crisp finish, with a lively cracked black pepper tingle. Following a rigorous assessment by ISC (a highly controlled process held over seven days of intense blind tastings by a panel of 50 international industry professionals) London Vodka was chosen as an “Excellent product of superb standard” and officially recognised as one of the best tasting vodkas in the world. London Vodka deservedly represents the pinnacle of the British vodka-making tradition. Produced exclusively from the finest East Anglia wheat and quadruple distilled to create the perfect balance of character and purity, it is the authentic expression of a quintessentially British vodka. Completely additive-free and blended with purest English water, London vodka combines a century of spirits producing expertise with an uncompromising commitment to its unique, authentic recipe and production method. These are the features that give London Vodka exclusive privilege and pride to be «wearing the Union Jack». Big Friday Night Tasting at Forsyth! Newcastle / Caledonian Brewery Collaboration. Here is some info about a few of the new products. This has not been available in Missouri since 2011. Our range of Yzaguirre Vermouths is still manufactured following the traditional methods of the venerable winemakers that sprang up in the foothills of the Italian Alps. Our exclusive formula blends almost 80 herbs and spices which give it that very special touch. With a light straw yellow colour, Yzaguirre Reserva Dry Vermouth initially has a very alcoholic taste in the mouth yet perfectly balanced with its acidity. Highly glyceric, it is velvety and smooth in the mouth with notes of wood, herbs and spices. 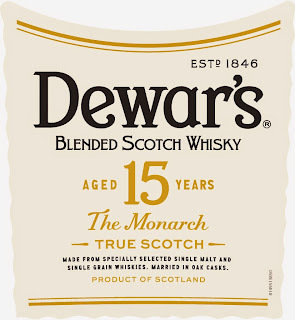 It is aged for one year in oak barrels which helps to stabilize the aroma and colour of the blend. Serving tip: Excellent for use in cocktails. Ideal for combining with gin and lemon. 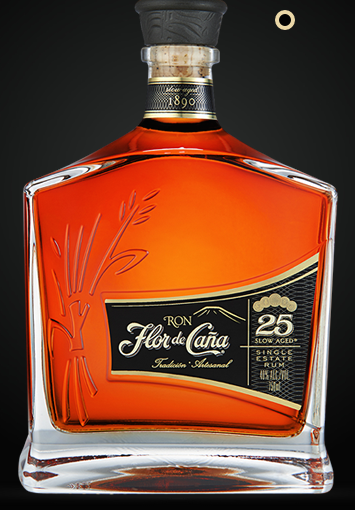 Flor de Cana's new Centenario 25 ultra premium rum, an exciting addition to the brand's Centenario Collection, features unique packaging. The black and gold label features an abstraction of the Nicaraguan volcano, while the rum itself sees to float in the bottle that sports sharp, beveled edges and a heavy solid glass base. The premium cork closure is topped with an embossed "Flor de Cana" gold medal coin. 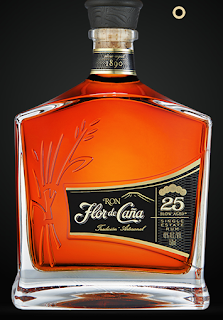 The Flor de Cana Centenario 25 has a deep and elegant amber hue. Its beautifully integrated aroma, with hints of vanilla, wood and ark cocoa, draws you into a smooth, luxurious taste that offers further notes of fruit, almond and caramel and a touch of sweetness that lingers in the long buttery finish. In stock now and in good supply! Combining Indiana Persimmons and dragonfruit from Thailand? Who would concoct such a divinely subtle concoction of joy and delight? 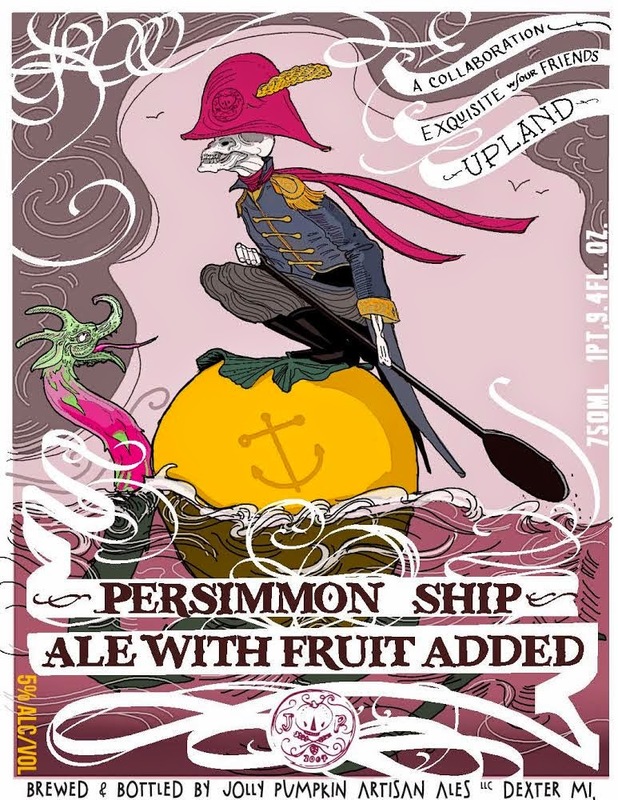 Only the spookily twisted folks at Jolly Pumpkin and Upland Brewing, that's who. From the rolling hills of Indiana, to the twisted wrought iron gates and graveyards of Dexter, comes this wonderful blending of oak aged sour ale. It is scheduled to hit this Friday. 2nd Shift BA LSD and Blueprint Coffee LSD - still waiting to announce details on release. Very soon. Side Project Merci - bottled, will be released soon. Stay tuned for details. Also got a few calls about this one - yes, it is coming this week, good supply! Jolly Pumpkin / Upland Brewing Collaboration - arrives this week! 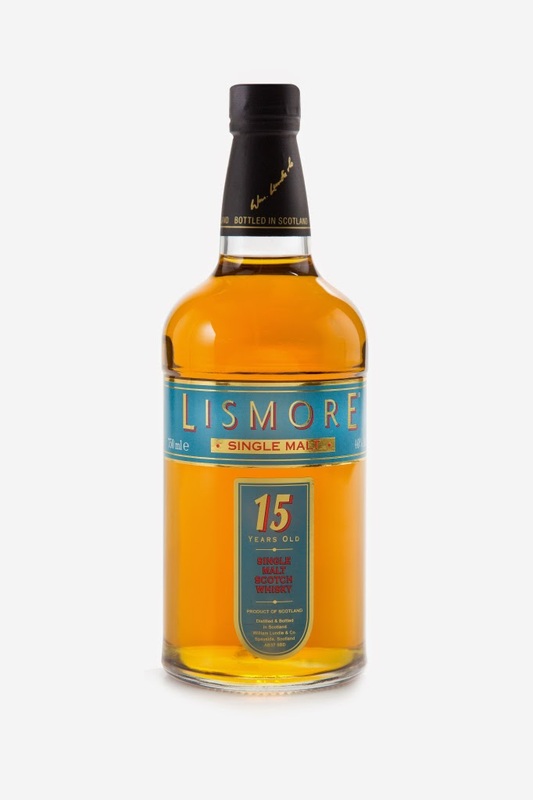 Lismore 15 year-old boasts an appearance that only comes from 15 year-old authentic copper stills. Starting with fantastic heather nose, followed by honey tones, grassy aromas, then a drizzle of maple syrup to top it off. The taste is rich toffee, with a great balance of nuts, fruit, and chocolate. 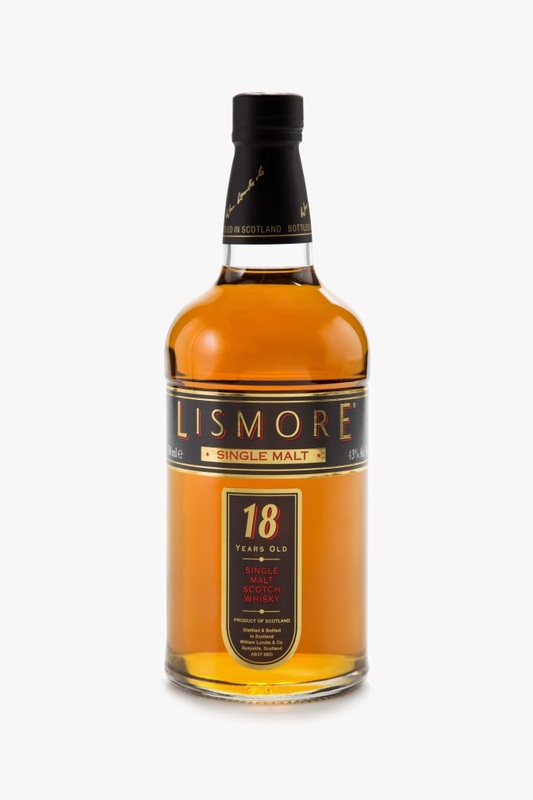 Lismore 18 year-old has an appearance of polished oak, a sherry nose with hints of cinnamon, Lismore 18 year-old A real mouth is a real mouth-filling whisky. One little drop envelops your entire mouth. Fruit and toffee are right at the forefront. The finish is butterscotch candy. It means 'ROCKY HILL'. Because it's a hill and it's rocky. Persistent aren't we? You and our late co-founder Peter Mackie have something in common. Even when styles changed and the other distilleries moved on, he dug his heels into the craggy Craigellachie rock. Steadfastly using worm tubs to add sulphurous ballast to the dram - they called him 'old fashioned' even in 1891. 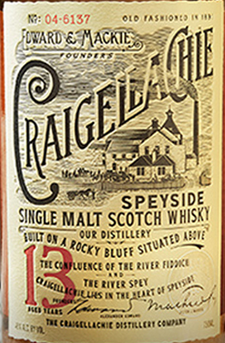 Ol' Mackie and his cat may have passed, but the Craigellachie method isn't going anywhere. Cara Foam, Melanoiden & Rogue Micro Barley Farm Dare™ & Risk™ Malts; Amarillo & Rogue Micro Hopyard Revolution Hops, Free Range Coastal Water & Pacman Yeast. 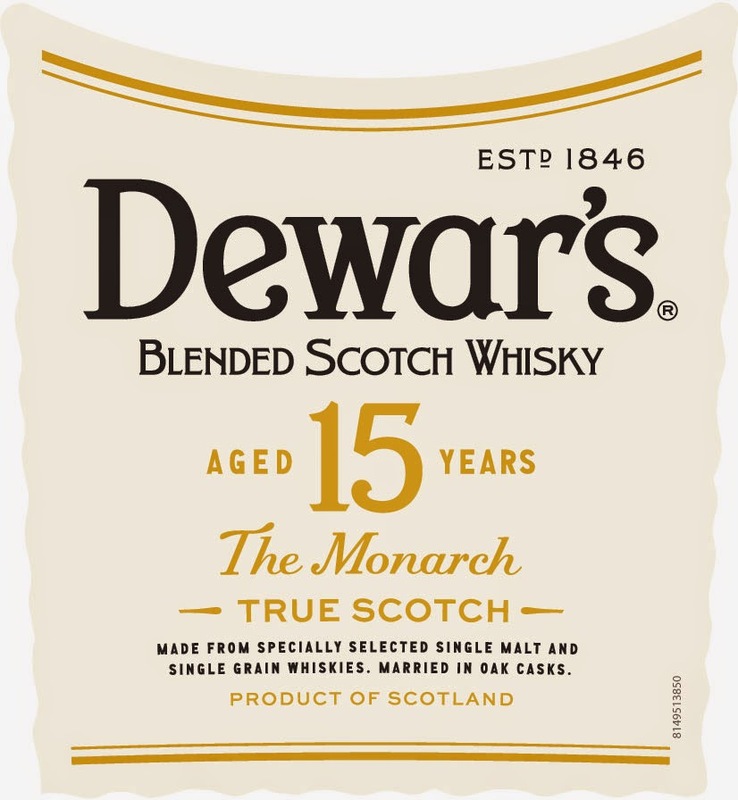 "The Monarch' is made from specially selected single malt and single grain whiskies that are at least 15 years old, and have been matured in sherry and bourbon casks. Once blended together we allow them to "marry" in vintage oak casks for several months. This is an 86 proof bottle and features Jack Daniel, the 2nd of the 7 Master Distillers in the history of the Jack Daniel Distillery. Each bottle is individually numbered on the back label and comes with a box which, when put side by side with another box, completes a nice image as seen above. 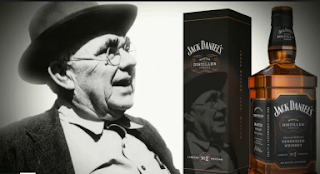 Only seven men have served as Master Distiller. 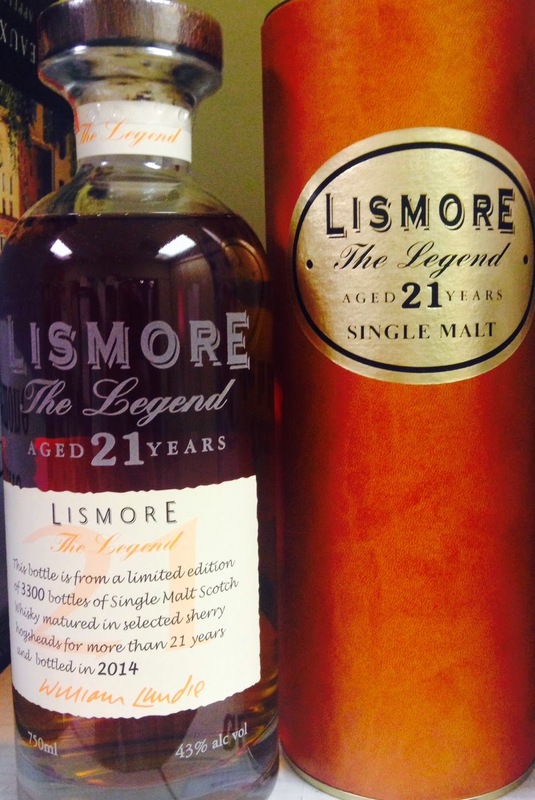 This special bottling celebrates Mr. Jess Motlow, who saw the Distillery through Prohibition. Budweiser Limited Edition Wood Crate!